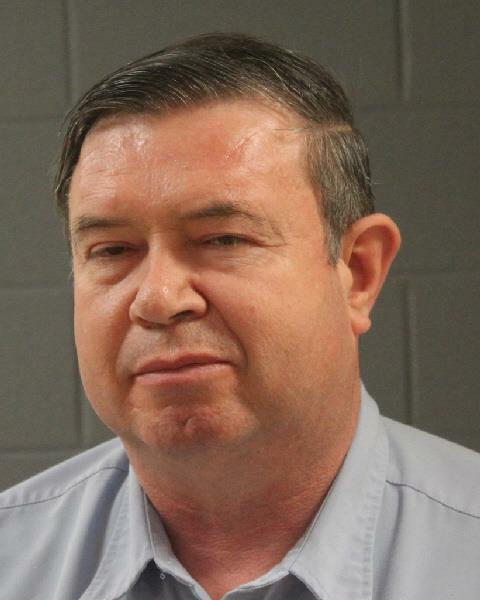 ST. GEORGE – A federal judge denied release Wednesday for another leader of the Fundamentalist Church of Jesus Christ of Latter Day Saints, ruling he posed a serious risk of fleeing before trial. In a separate hearing, an eleventh FLDS member entered a plea of not guilty. Both men have been federally indicted in a multimillion-dollar food stamp fraud and money laundering scheme. Nephi Steed Allred, of Colorado City, Arizona, appeared in federal court with defense attorney Jon Williams for a detention hearing before U.S. Magistrate Judge Robert T. Braithwaite. After determining Allred to be a flight risk, Braithwaite ordered Allred to remain behind bars until trial. Allred has an option of appealing the decision to the trial judge. A trial date in the case has not been set. Allred is one of 11 members of the polygamous sect charged in a two-count indictment unsealed last week in U.S. District Court, District of Utah. The indictment alleges that leaders orchestrated an elaborate food stamp fraud scheme to defraud the government. Prosecutors allege those indicted diverted at least $12 million worth of government-issued food benefits by telling members to buy things and give them to the FLDS storehouse or by using the benefits in FLDS-owned stores without actually getting anything in return. Federal prosecutors filed a motion to detain top FLDS leaders Lyle Jeffs, Seth Jeffs, John Wayman and Allred, arguing the four defendants are a “serious” flight risk and should not be released before trial. At Allred’s detention hearing, Williams argued there are a set of conditions that can reasonably assure Allred’s appearance at trial. After reminding the court that Allred is presumed innocent of the charges, Williams argued that in the government’s memorandum asking the court for detention of the four defendants, only a total of seven sentences are devoted to Allred, with none showing a connection to Allred being a flight risk. The prosecution’s allegations are outdated in regard to Allred being a gifted accountant who used his business accounts to move money around for FLDS leader Warren Jeffs, Williams argued. Jeffs is serving a life sentence in Texas after being convicted of crimes related to marrying and sexually abusing underage girls. Additionally, what the government overlooks, Williams said, is that Allred was not in Utah when the FBI raid in Hildale occurred last week. The FBI left Allred a voice message, informing him about the warrant for his arrest, Williams said. Allred then returned the call to the FBI agent and told them where he was. Allred told the FBI agent that he would make the 12-hour drive back to Utah and turn himself in, Williams said. Allred kept in constant contact with the agent as he drove back. “Is this the behavior of the man that intends to flee these charges and go to these places of hiding?” Williams asked the court. Washington County Attorney Brock Belnap, who will participate in prosecuting the case as a Special Assistant U.S. Attorney, said the government’s concern about Allred boils down to the defendant allegedly helping to construct an elaborate system of hiding before and after Warren Jeffs was incarcerated. Belnap argued that it demonstrates Allred has the knowledge, skill, ability and experience to evade law enforcement if he chooses. In the FLDS community, Belnap told the court, if church members get crosswise with Warren Jeffs or Lyle Jeffs, those members will lose their family, church standing, homes and connection to the community. Therefore, Belnap said, there’s every reason to expect that, if leadership decides Allred needs to go, he’ll go. Despite Williams’ arguments, Braithwaite ruled Allred poses a significant flight risk and said no conditions of release will reasonably assure Allred’s presence at trial. The FLDS church has an elaborate system of moving and hiding members of the group to avoid law enforcement detection and detention. Allred has willingly participated with Warren Jeffs in the past to frustrate and prevent the efforts of law enforcement and the courts to effectively process criminal cases. Braithwaite referred specifically to an instance where the court issued a warrant for Warren Jeffs’ arrest in the past in conjunction with a Complaint for Flight to Avoid Prosecution, which placed Jeffs on the FBI’s 10 Most Wanted list. Allred assisted in Warren Jeffs’ subterfuge and deception by acting as a caretaker and courier, relocating Warren Jeffs’ wives, acquiring a car for Jeffs’ use and asking if the title should be put “in a made up name,” and transferring envelopes of cash to help facilitate in various deceptions, the judge noted. Allred has the knowledge and ability to utilize the same system used by Warren Jeffs for his own benefit should he be released. As an accountant for the FLDS, Braithwaite said, Allred has the financial means to access funds as well as the incentive – since he is facing a maximum of 25 years behind bars if convicted – to flee and avoid trial and possible consequences in the case. Braithwaite remanded Allred to the Washington County Purgatory Correctional Facility to await trial. Kimball Dee Barlow, 51, of Hildale, Utah, also appeared in federal court before Judge Braithwaite Wednesday and entered a plea of not guilty. Barlow turned himself in to law enforcement Tuesday morning. Barlow, named in the federal indictment among 10 others, is the eleventh and final FLDS member taken into police custody on the charges. Terms and stipulations for Barlow’s early pretrial release were negotiated and agreed upon by both sides prior to his initial appearance. Braithwraite signed the agreement and ordered Barlow be released from custody under supervised release, which includes travel restrictions and GPS ankle monitors. Barlow was taken back to Washington County Purgatory Correctional Facility for processing following the hearing.